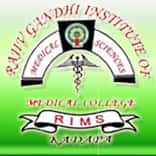 Rajiv Gandhi Institute of Medical Sciences (RIMS Kadapa) was established in the year 2006, it is popularly known as RIMS Kadapa, located at Kadapa Andhra Pradesh.RIMS provides 150 candidate intake of every year for the Undergraduate programme. Kadapa Medical College is one of the most popular Medical Colleges in Andhra Pradesh. 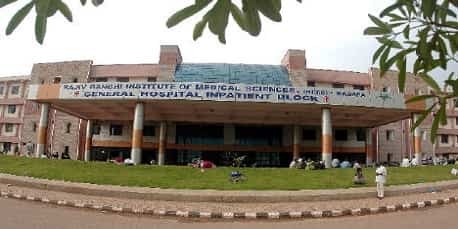 Throughout this article, we are going to share all the essential details about Rajiv Gandhi Institute of Medical Sciences RIMS Kadapa like Affiliations, Admission Process, Courses, Cutoff Details, Eligibility Criteria, Fee Structure, Review, Ranking etc. Before we go to complete college review, let us have a look at the major details of Rajiv Gandhi Medical College Kadapa. Admission through the National level exam NEET UG programme or also through Andhra Pradesh NEET State Entrance Test. My daughter got 425 marks to neet exam.All India rank 59750..general catagory. Any chance to get mbbs seat. Your daughter has a fair chance of getting admission. Hey Ashok, you must fulfill this qualification for admission.